SEGA recently announced that they’re bringing Yakuza Kiwami 2 to North America. The enhanced remake of Yakuza 2 is set to be released on August 28, 2018. That’s just a few months after the North American release of Yakuza 6. The release will be accompanied with a Steelbook Edition while supplies last. Yakuza 6: Song of Life has the tough task of wrapping up Kiryu’s story, one that has spanned three console generations. SEGA manages to close his journey on a high note by staying true to the character’s core principles. He remains a man who cares more about those around him than his own needs, and this is shown off in the beginning as he once again serves time behind bars in order to redeem himself for his family. 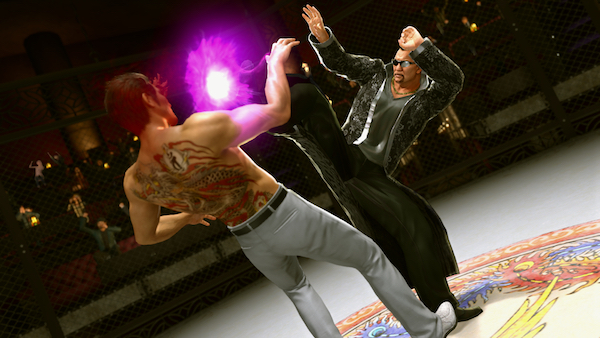 The focus is purely on Kiryu and a new cast of characters for the most part as Goro Majima, Daigo Dojima, and many other mainstays only appear during the opening and ending moments. While it’s slightly disappointing to see so many members of Yakuza‘s great ensemble cast take a back seat in Yakuza 6, it ultimately works out for the best. Song of Life is Kiryu’s story and focusing on something larger would only be a disservice to one of gaming’s most fully realized characters. It’s only fitting that he bows out in Ryu ga Gotoku Studio’s most mature and focused game. Yakuza Kiwami 2 releases August 28, 2018 exclusively on PlayStation 4.